The clearance section by the beauty area in Target=awesome. I've gotten eyeliner there before, and always looked.. But this time I found nail polish! 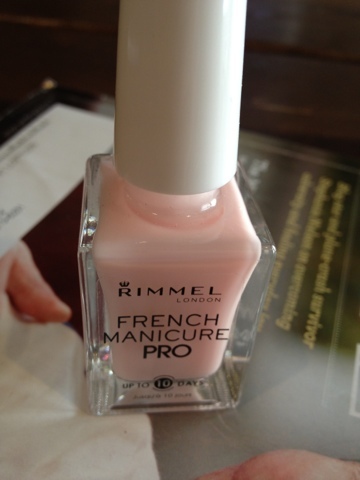 Rimmel London in "French rose". I think it was like $1.79!! 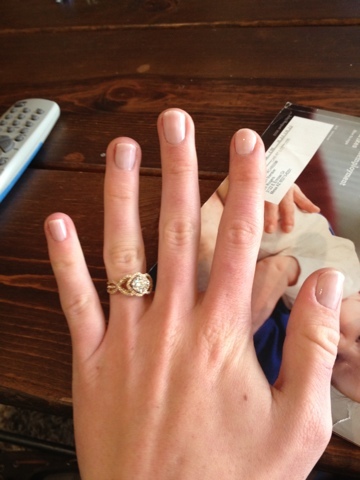 After the wedding, when I had acrylics, I immediately kept doing gels. And my nails never recovered. I'm now taking overloads of vitamins, and decided to take a break from gel and shellac. 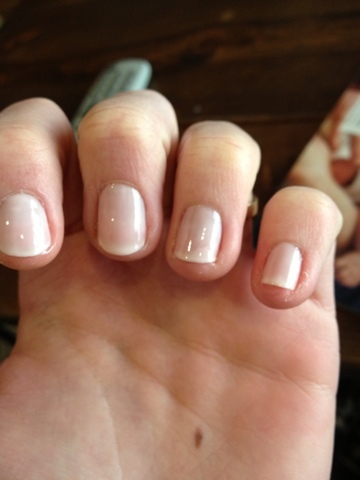 So, this color is beautiful and so natural, and I did about 4 thin colors!! I love it. I think it was a fab find!